Hello, everybody! For today’s article we will be reviewing some simple tips in order to keep our teeth in tip-top shape. It is essential to follow some do’s and don’ts if we want them to be strong as ever. So with the help of Los Algodones dentists, we went through some dental care tips for your oral health. These tips will go from things and habits you should do and some that you should avoid. We hope that these will work for you in the long run! The bristles wear down as time goes by. Frayed bristles are no good when it comes to brushing. They have a hard time targeting and dealing with the buildup plaque accumulated on tight spots. An old toothbrush can spread diseases. Since we keep all the toothbrushes in the same place, it becomes a means for bacteria to travel. If you, a family member, or a roommate has gone through a cold recently, chances are that you might catch it next. Make sure to use a toothbrush with soft bristles. Plaque is a soft, sticky film, it does not require much force to brush it away. For this a toothbrush with soft bristles is the perfect job. 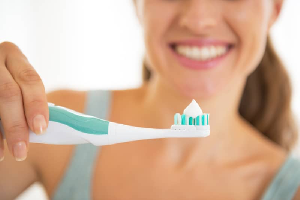 If you happen to use a hard-bristled one, it is better to switch as it can damage your tooth enamel in the long run. Watch what you eat and nurture your body! What we eat take also a major role when it comes to the care we give to our pearly whites. I am sure you have heard how certain foods are more likely to stain or damage your teeth in the long run. Also that through them is that bacteria feed off and produce plaque. So for this reason it is important to keep an eye on what we eat and how we deal with it. Drink water regularly throughout the day. This helps a whole lot as we are regularly supplying our body with always-needed water. This helps also with boosting saliva production, which fights and fends off bacteria. Include vegetables in your diet. Our body needs an array of vitamins and minerals that we only get from certain foods. This is key for a great dental care! Rinse your mouth after eating. 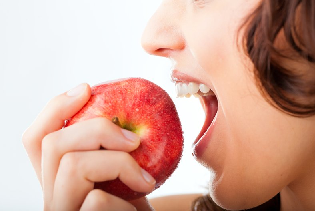 Swishing your mouth helps getting rid of bits and food remnants from your teeth. This slows down the production of bacteria. Using and smoking tobacco products and cigarettes invites a whole new layer of dental problems and issues! From smoking you get bad breath, tooth stains, gum recession, a harder to spot gum disease, and of course cancer. Our dentists in Los Algodones suggest to quit smoking as it is borderline impossible to have a great dental health with it included. Scrub your tongue, keep those habits strong! Aside from the obviously needed daily brushing and flossing, we also have to pay attention to our tongue. Why? It is normal for our tongue to be exposed to a good amount of particles. So food and bacteria can get stuck on it. It’s easy enough to remove this by either brushing it with our toothbrush or using a tongue scrapper. By keeping up with this tip, you make sure that bacteria do not spread from there to your teeth as well. Getting checked with a professional is the best thing you can do in the long run. Not only can you get a dental cleaning but also valuable insight when it comes to what you are doing good or bad. Also, through the normal tests and check-ups, they keep track of how your mouth develops. This is useful at spotting problems ahead of time and dealing with them accordingly. No Replies to "Dental Care Tips: Keeping Your Teeth Strong"
© Copyright by Los Algodones Dentists Guide.